Auntie Cleaner Singapore: Can We Use Stockings As Dust Remover? Can We Use Stockings As Dust Remover? No one wants to have dust or dirt in their house. Because of dust or dirt they can have a number of problems in their house and that is why people try to get rid of the dust by all means. Also, they use different kind of products or material as dust remover hoping they can get a good solution with it. Some people also wonder if they can use stockings as dust remover for their home or not. If you also have the same question in your mind and if you want to know can we use stockings as dust remover, then I have a straight forward answer for you. The straight answer is yes you can use stockings for durst removal considered you use it in right manner. For your reference and help I am going to share some helpful information and tips that can tell you how to use this piece of cloth as a good quality dust remover in a smart manner. Use it as wood floor buffer: If you have a wood floor in your house, then you will need to use a good quality floor buffer to keep it clean. For this requirement you can use your old stockings and you can get optimum cleaning experience also with that. In order to do it effectively, you should insert a folded towel into your old stockings and you should make a good padded bag like structure with it. After that you can use that as your floor buffer and this is certain you will have optimum cleaning experience with it in the best possible manner. Use it for bathroom cleaning: In your bathroom, you don’t want to scrub the tiles, sink or bathtub with a harsh scrubber. You can replace the hard scrubber with your old stockings for cleaning of your bathroom as well. In order to clean your bathroom sink, bathtub and other places in a mild manner, you can fold your old stockings and you can scrub that on these surfaces. This will do good cleaning for you and it can work like a fantastic dust remove and cleaner for you in easy manner. 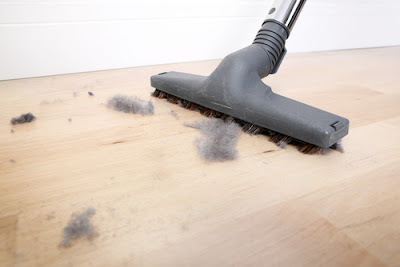 Use it for floor sweeping: If you get a lot of dust in your home and you fail to collect that all with your broom, then stockings can help you in that situation as well. You can put the stockings on top of your broom and then you can do the sweeping of your floor like you do on daily manner. This is a very simple trick but it will catch a lot of dust with ease and it will work like a magic dust remover for you. So, it is safe to say, this is one more good use of stockings for any kind of dust removal in your home in easy manner. Cleaning under the fridge: Cleaning under the fridge can be really a very tough task and many people just keep avoiding it on regular manner. In this situation your old pair of stockings can actually work as a great dust remover for you. In order to clean that area using stockings, you can simply take something long, skinny and flexible material. A flexible plastic stick or bamboo stick could be a good option for that. After that wrap your old stockings on the stick and poke that under your fridge area. If you will do it for few minutes, then you will be able to collect most of the dust and dirt from the place and you will be able to have really good outcome as well with great ease and comfort. Use it for cleaning your clothes: This use of stockings may actually surprise you, but you can use it as a great dust remover for your clothes as well. You may have some clothes in your house that need only dry cleaning and you cannot clean that on regular basis in your washing machine. However, those dresses can also trap dust and you may wish to remove that dust before warring it again. In order to remove the dust from your clothes, you can take your old stockings, you can put a towel inside it and you can scrub that on your clothes. When you will scrub the stocking on your clothes, then it will catch a lot of dust and dirt from it and you will be able to have clean dresses in very easy manner. Use it to clean your shoes: just like cleaning your dresses, you can use stockings to remove dust and dirt from your shoes as well. Your shoes may capture a lot of dust and dirt on it and you may find it impossible to remove that dust without actually washing it. In some cases, you may even have some shoes that are not washable. If you will have such shoes, then stockings can be a good dust remover for you. You just need to fold it in some folds and then you can remove the dust using that folded stockings. With some efforts it will capture most of the dust from your shoes and you will be able to have a clean and dust free shoes pair with really easy ways. Use it to clean painted surface: When you get dust on your painted surface, then you cannot use scrubber or broom to remove that dust. Use of vacuum cleaner may also not work for you in that situation. But if you will use stockings as dust remover, then you can get good outcome with ease. You can simply insert some towel or other cotton fabric inside the stocking and then you can clean the dust from painted surface easily. It will neither leave any streak of the cleaning nor it will give any other problems. 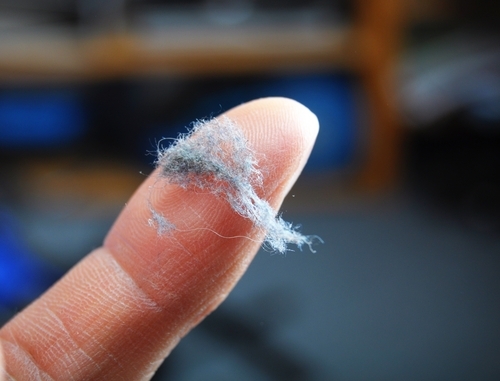 Also, it will catch almost every part of the dust and you will be able to have fantastic cleaning in your house using this particular method in a very simple and highly effective manner.